This Micro Light was developed to cater to the needs of customers seeking a cheaper alternative to the AAA battery and CR2032 cell battery models. Operates off three long life AG10 cell batteries (not included). Powerful Ultra-Bright orange LED, virtually unbreakable. Chromed reflective housing for maximum brightness. Swivel light head moves up and down for putting the light exactly where you need it! 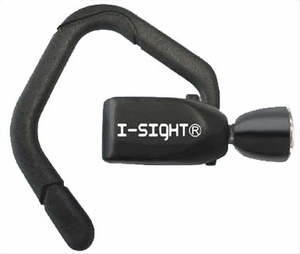 Comfortable and fully adjustable earpiece. US Patent 6,637,910. World patents pending.